These pictures were taken on my recent tour of Kyoto. Kyoto is the notable metropolis which has lasted for more than a millennium and boasts a proud heritage of the unique art and culture of Japan. 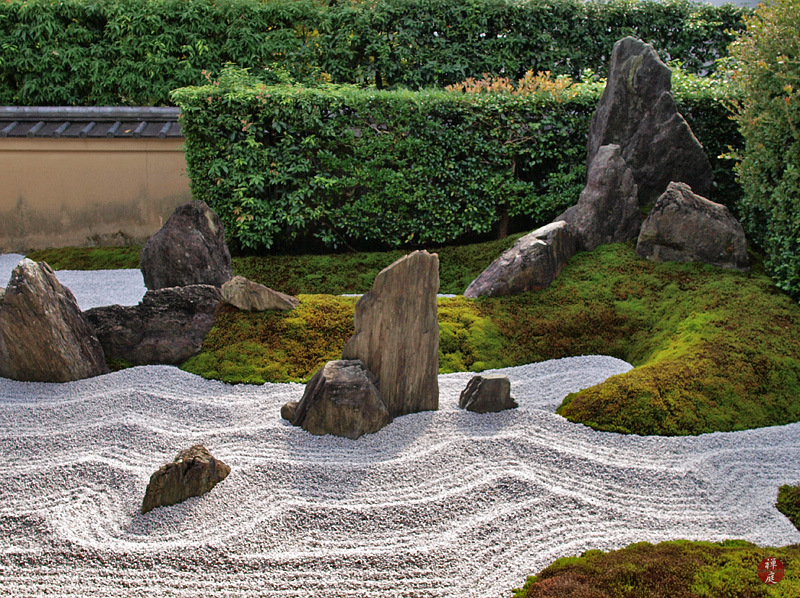 Many of the following pictures show two basic types of gardens in the famed Zen temples of Kyoto. 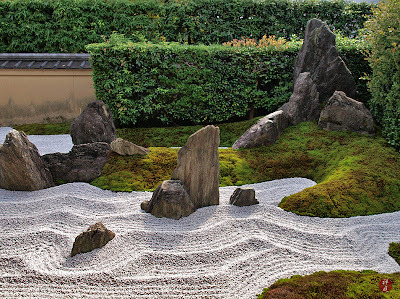 The first type of garden is called a Kare-sansui (dry landscape) garden, which represents a metaphysical landscape with rocks and gravel. 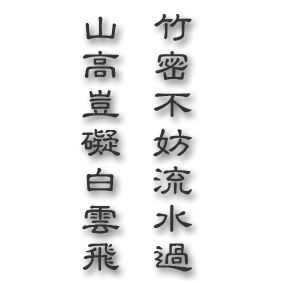 The second type of garden is called Chisen (pond and spring) garden, which represents an ideal landscape of hills and streams with water and rocks. This beautiful Karesansui garden is called Dokuza-tei (the garden of sitting in solitude) and belongs to the Hojo (head monk's quarters) of the Zuiho-in (beautiful mountain house) sub-temple of Daitoku-ji. This garden symbolically represents the Chinese mythological landscape of the Horai-san (the isle of eternal youth where a hermit lives). This sacred island is quietly and solitarily sitting midst a stormy wilderness of waters. Kyoto must be a golden treasury of Japanese beauty and spirituality.